We not only bring to you a convenience visa service, but also provide a wide range of extra services such as Vietnam Visa Fast – Track Immigration, Private Car Pickup Airport and Hotel Reservation. It takes you only 15 or 20 minutes instead of 1 hour waiting as normal. Our staff is arranged to wait for you at the Immigration area holding a board with your name on it. Then, you can give your passport and stamping fee to our staff who is responsible for all the required procedures and bring back to you your passport with visa stamp. The only thing you need to do wait for the identification processing. For VIP service, it takes you only 5 or 10 minutes at the airport. Our staff will wait for you at the Immigration area with a board of your name. You also give him/her your passport and stamping fee as requested, moreover, you do not need to wait for the identification processing, but go through a private track for VIPs only and go strait to the baggage claim or get to your car where you take your passport. 25 USD for 1 month / 3 months / 6 months single entry visa (USD, in cash). 50 USD for 1 month / 3 months multiple entry visa (USD, in cash). 135 USD for 6 months / One year multiple entry visa (USD, in cash). We are serving these two services at 4 Vietnam International airports: Noi Bai aiport (Ha Noi city), Tan Son Nhat airport (Ho Chi Minh city), Da Nang airport (Da Nang City), Cam Ranh airport (Nha Trang city). You must inform us 48 hours before departure time in case of changing the arrival airport. Follow new Circular of Vietnam Government from 23-Nov-2015, Stamped fee at Vietnam internation airports for foreigners adjusted as: cut down from $45 to $25 for visitors who apply for visa one month single entry. More Details..
We will pick you up from the airport and bring you to your specific address by our modern and high- condition car. 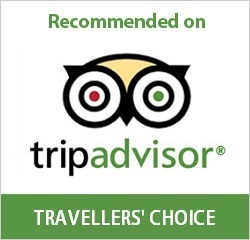 You can save your time and enjoy your safe journey with our well-trained and careful driver. Economic Class Business Class Economic Class Business Class Ford Transit, Mercedes Transit.. Huyndai, Daewoo..
Civic, Chervolet, Altis, Vios.. Camry, Mercedes, BMW, Audi.. Innova, Chervolet, Mitsubishi .. Mercedes, BMW, Audi.. Note: Please contact with us 02 days before your departure time if you would like to cancel extra services. 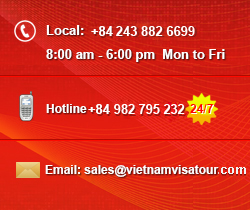 Besides Vietnam visa service, we also offer Hotel reservation service as well with the best price at www.vietnamvisatour.com. You must log in your account registered when you apply visa to see the room list.